We Shall Fight Until We Win celebrates the centenary of the first women gaining the right to vote in Great Britain. Charting ten decades of political activism, campaigning and moving forward, this graphic anthology offers an insight into the key moments of iconic political women. 404 Ink and BHP Comics have come together to curate a varied group of creators to contribute to this graphic anthology. The creators come from many backgrounds, some are comics writers and artists, while for others this is their first graphic work. 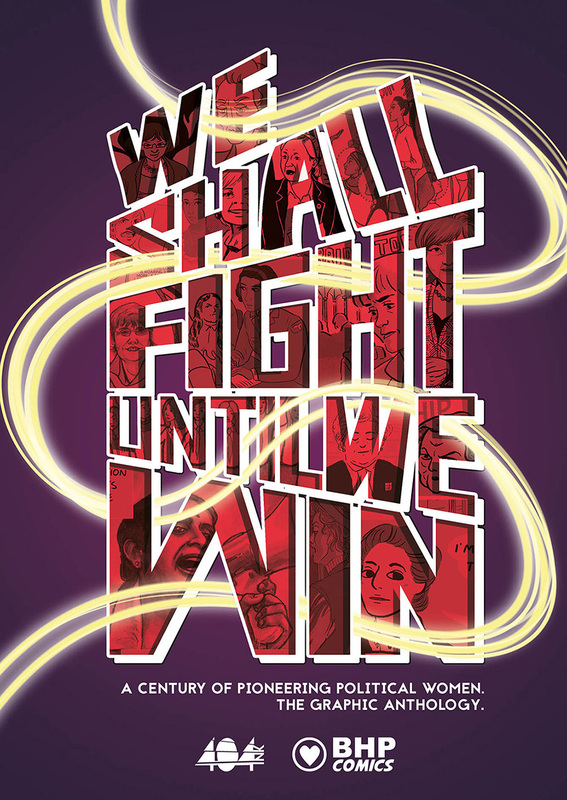 We Shall Fight brings together everyone from political writers to autobiographical artists, thriving on that difference. Creators include Sabeena Akhtar, Hannah Berry, Jenny Bloomfield, Kathryn Briggs, Wei Ming Kam, Shazleen Khan, Charlot Kristensen, Denise Mina, Durre Shahwar and Grace Wilson!